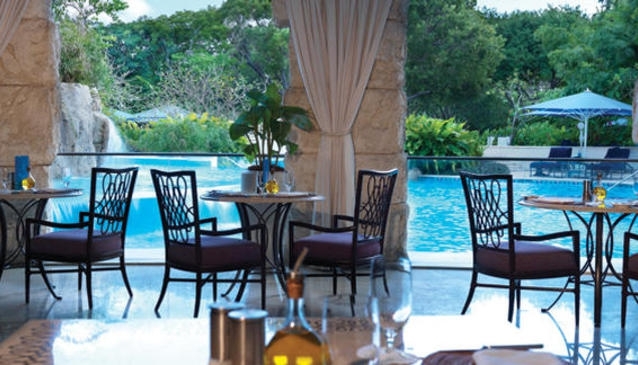 The atmosphere changes as you step out of the sunshine and into the cool aromatic ambience of The Spa at Sandy Lane. 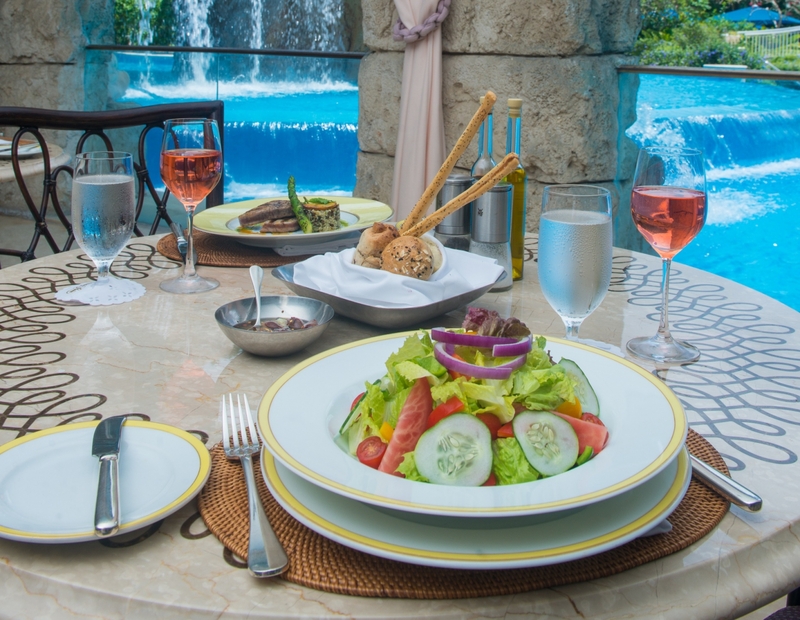 The perfect complement to a day of pampering or simply a refreshing change of pace, the Spa Café offers a casual lunch menu from soups and greens to sandwiches and light main dishes. Seating is covered but open, and adjacent to the Hotel's grand swimming pool with its cascading waterfall and swim-up pool bar.